Joyetech MG RTA Head for Ultimo, is designed for Ultimo tank. 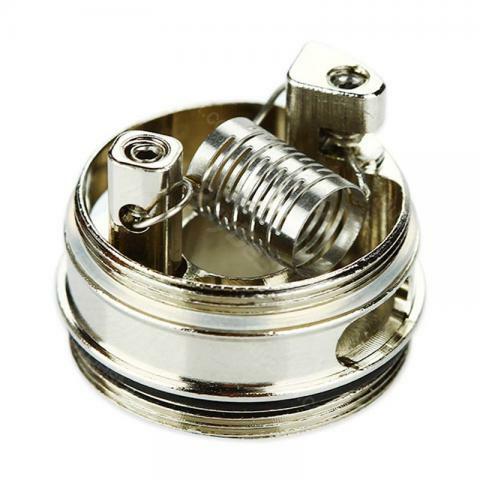 With the rebuildable RTA head, you can build your own coils. Get it as a spare part for your Ultimo. • It's for Joye Ultimo Tank. Joyetech Ultimo MG RTA Head is a joytech product which includes different heads; MG Ceramic-0.5ohm head, MG Clapton-0.5ohm head, MG QCS-0.25ohm head and MG RTA head with unique shape are especially and perfectly designed for the ULTIMO atomizer. Well, the coils are nice if you are in the hi wattage trend. For me, they are just too power hungry.